Enjoy uncompromising quality and performance. All PMC cartridges pass rigorous inspection at our electronic powder-check station, which instantly and accurately measures the propellant charge in each round. If the propellant in any cartridge varies by as little as two-tenths of a one grain, the system stops, and the cartridge is discarded. No other ammunition manufacturer can assure greater uniformity and reliability than PMC. These valued characteristics run throughout their entire line. PMC Bronze, .45 ACP, FMJ, 230 Grain, 50 Rounds is rated 4.6 out of 5 by 28. Rated 5 out of 5 by Piggy from Best price I've found so far. This is good ammunition at a nice price. Shipping is fast. Rated 5 out of 5 by Celtic Warrior from Great Ammo At A Great Price! PMC ammo is not only great for target practice but is also very reliable as a defensive round. I am so very confident , That I Depend upon it to protect the lives of my family and myself and I highly recommend it. Rated 5 out of 5 by shooter from great ammo great price. quality ammo reasonable price. Rated 4 out of 5 by Rick the hiker from Good value on 45 caliber ammo This is perfect for shooting targets. Rated 5 out of 5 by Tyborg from Great Ammo PMC is one of the higher Quality ammunition on the market today, the rounds feed well, low corrosive properties, it is by far the best round I've found to feed my Auto Ordnance .45 Acp. Rated 5 out of 5 by johnnyreb73 from Great ammo! 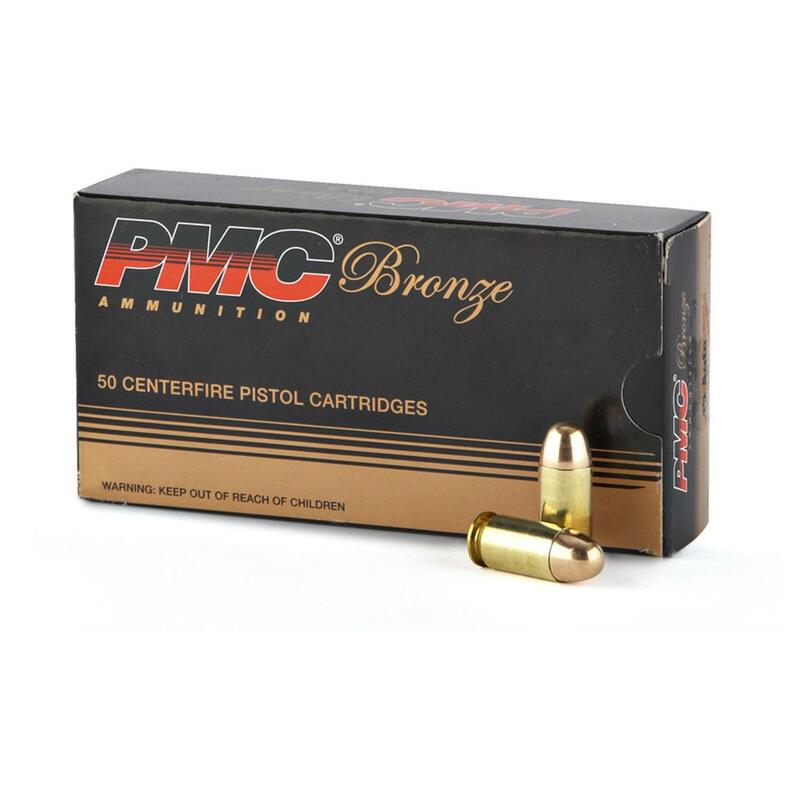 Have been using PMC ammo for years in many different guns and calibers. I have always had excellent results. PMC brass is also excellent to reload. Rated 5 out of 5 by Jim1945 from Great Round I wanted to try these with my new Remington 1911 R1. They went through my .45ACP pistol with no problems. Great price and great customer service from Sportsman Guide. Reliable, accurate, safe and AFFORDABLE.